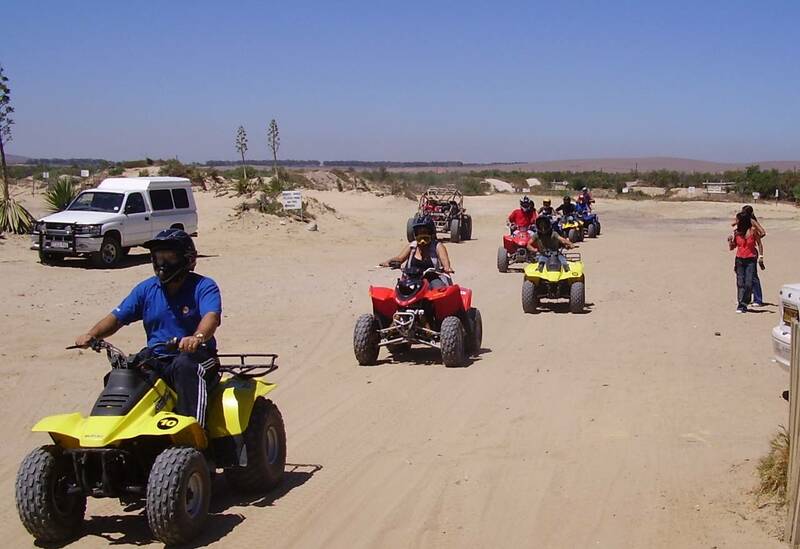 Hit the trail on 4-wheeled Quad Bike (ATV) adrenaline machines for the ultimate fun, Quad biking on the off-road 4x4 trails of Melkbos, just outside of Cape Town, up the beautiful West Coast of South Africa. Cape Xtreme offers these quad bike tours just 30 to 45 minutes away from the center of Cape Town on the Melkbos 4x4 Trails in the dune/wilderness close to Melkbosstrand. You can enjoy the thrill of quad biking completing the dirt track. This is a long route with fast corners and straights for the enthusiast. The track is wide enough for 2 quads to fit next to each other 90% of the way. For those that are slow just keep to the left and let the faster Quad-Bikes go past.